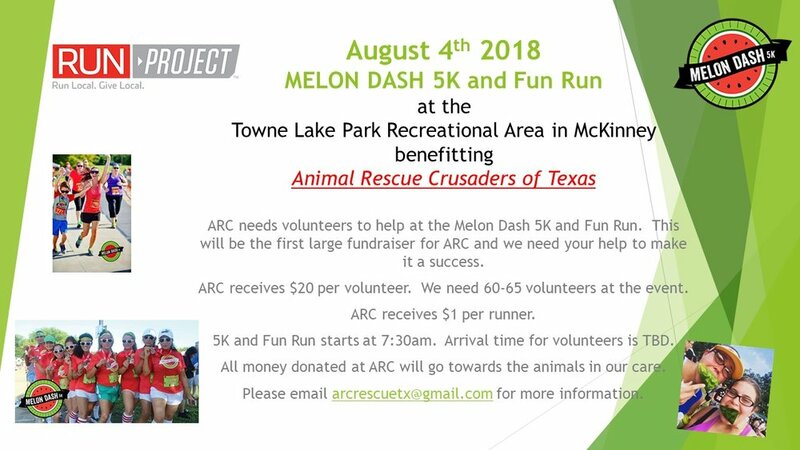 We’re excited to announce that Animal Rescue Crusaders of Texas has been chosen as the beneficiary of the Melon Dash 5k and Fun Run on Saturday, August 4th. Presented by Run Project. Run Project is about bringing together those who love to race, those who want to give back and support, and those who want to keep it local. It’s cool, it’s hip, and it is good for the soul. Keeping it local is how they roll. All of their community partners are local non-profits or local affiliates of nationwide charities and organizations and all monies raised will stay in the local area. Join us for a great summer race on a relaxing course throughout the quiet streets of McKinney. Participants will be greeted at the finish with cool towels and refreshments, including cold, sweet watermelon. Our sponsor village will be packed with goodies including a DJ, snow cones & free hot dogs! Bring your friends and family along to enjoy the fun. 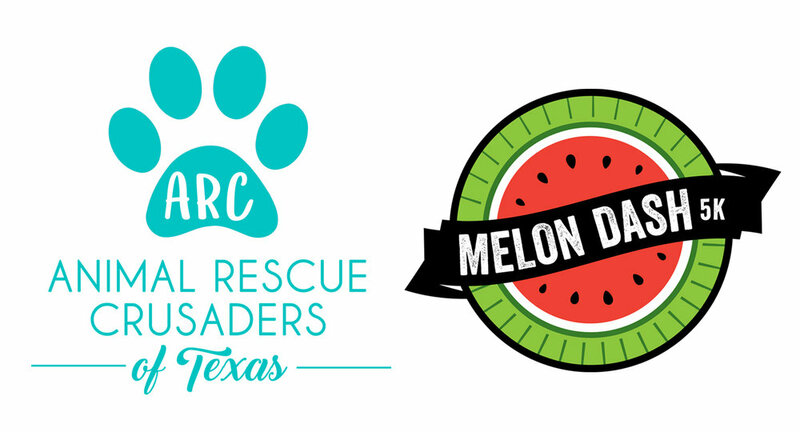 Animal Rescue Crusaders receives $20 per volunteer that signs up through us at arcrescuetx@gmail.com and we receive $1 per runner. Volunteers need to be at the event between 5:30-6:00am. Event should wrap up by 10am. Volunteers will receive a volunteer t-shirt. We need your help to makes this event a huge success and to help us get invited back again next year.